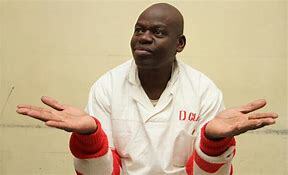 Two members of the Zimbabwe Prison and Correctional Services yesterday said they did not see jailed cleric Robert Martin Gumbura attempting a jailbreak at Chikurubi Maximum Security Prison. Gumbura, Blessing Chiduke (25), Luckmore Matambanadzo (39), Luck Mhungu (38), Taurai Dodzo (47), Thomas Chacha (37), Thulani Chizema (32), Jacob Sibanda (28) and Elijah Vhumbunu (38), who are being jointly charged for the attempted prison break, are all presented by Lovemore Madhuku. The alleged prison break attempt occurred in March 2015. The witness, assistant principal correctional officer Glassman Muringani, who was heavily assaulted by prisoners during the jail-break attempt, told the court that Gumbura was not part of the inmates who assaulted him. He singled out Mhungu, Matambanadzo, Chizema and Sibanda as the inmates who tried to choke him while others were holding his legs. “We were four officers and since there was nothing unusual we were expecting, I told my colleagues to go for lunch. After my colleagues went for lunch, the accused persons left their places, where they were seated, heading towards the library,” Muringani said. When asked by Madhuku to identify the person who took his phone, Muringani told court that it was Chiduke. But Madhuku asked the prison officer to identify him in the dock, at which the witness pointed at Sibanda as Chiduke. Madhuku told the witness that he was not telling the truth and came to the court after memorising the name of the accused persons and to narrate what he was told to say. But Muringani told the court that he only asked for the name of the person who took his phone after he described his appearance to his colleagues. The witness also told the court that after the incident, AK-47 rifles were brought and many prisoners were shot and killed during the incident. Prosecutor Michael Reza also called in another witness, a prison officer Admire Manyika, who told the court that he was the one who saved Muringani from further assaults by prisoners, but did not see Gumbura engage in violence in the D-Hall section. “I saw Gumbura, Chiduke, Chacha and Chizema in the hall, but I did not see them participating in the destruction of the prison,” Manyika said. The prison officer said he was attacked by some of the inmates while trying to help his boss Muringani, who he said was lying unconscious on the ground. While replying to Madhuku’s question to identify the convicts who attacked him while trying to help Muringani, Manyika told the court that whatever happened to him on the day could not be attributed to the accused persons in the dock.